5.1 G Finals Week Prep for Student! Please share! 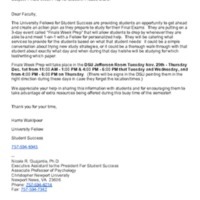 An email describing a program by the CNU Fellows to help students prepare for final exams. 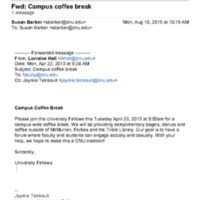 An email announcing a campus wide coffee break for faculty and students to engage socially.